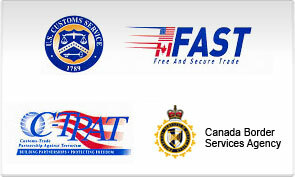 We move tens of thousands of shipments a year between Canada, the United States and worldwide. This volume gives us the base needed to move freight faster and more reliably than ANY other transportation service provider. All of our solutions are built to be Repeatable, Sustainable and Scalable. We challenge you to give us your biggest challenge and let us show you how we can deliver. We have an extensive fleet of vehicles including 40 53ft air ride logistic vans, multiple flatbed type trailers, 30 highway tractors and 10 local city cabs. We also utilize over 200 plus approved partner carriers to help us fulfill customer needs. We offer T.L. and L.T.L., Local Cartage, + Cross Border shipping. We can provide 3PL solutions for Ocean, Air, Rail, Customer Brokerage, Warehousing, Storage, Dedicated fleet and Shipping from USA point to USA point. 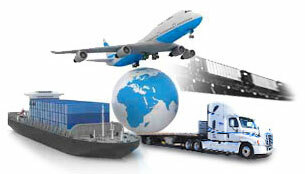 We offer the best support and service in the transportation and logistics industry. 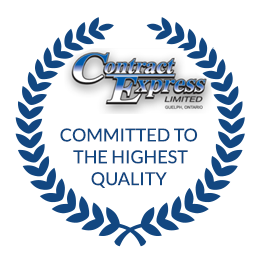 Utilizing online computerized systems and experienced staff, Contract Express Limited provides superior service to its customers while providing the very best in cost effective transportation and logistics services. We service a wide range of customers, including the Automotive, Machinery, Equipment Manufactures, Building Material and Furniture Industries – our expertise is vast. Some of our satisfied customers include Marathon Equipment, Hexpol, Pangborn, Aveda Corporation, Patriot Forge, and Flow Serve to name a few. See below for our latest reviews. 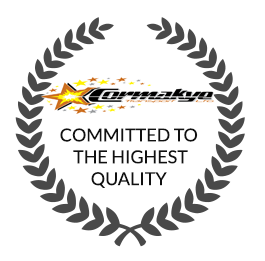 We are committed to meeting and exceeding the quality expectations and needs of our customers and their business partners.